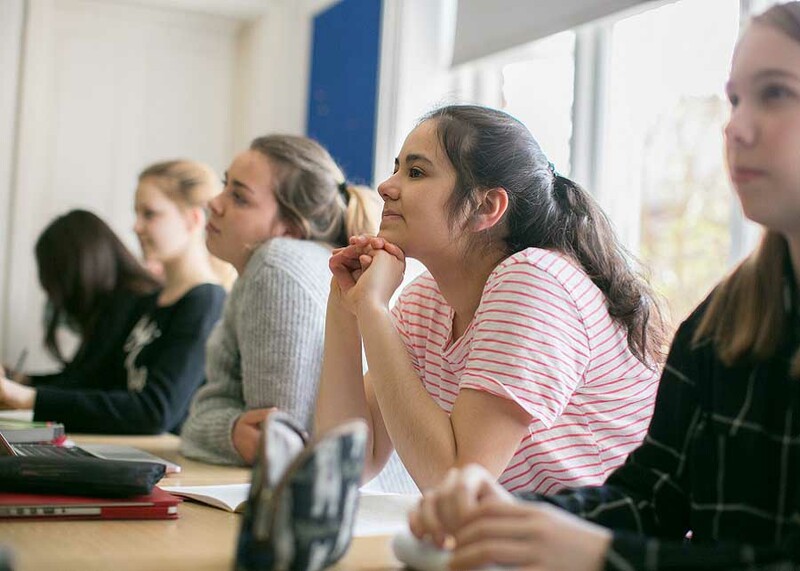 We offer English language programmes for teenagers aged between 15 and 17 years old including Business in Oxford, Arts and Digital Design in Oxford, Science in Oxford, IB Introduction, Interactive English and Intensive English. Our English courses start from elementary level. In fact, every member of the team takes their duty of care extremely seriously. Each employee has the right qualifications and experience for their roles and is thoroughly checked (by the DBS) for their suitability to work with children and young adults. There’s an exciting programme of sports and social activities in the afternoons, evenings, and at weekends after classes. These are some questions that we are often asked. If you can’t see your question here, please contact us directly. Come to the Banbury Road Campus reception at 139 Banbury Road on Sunday. A member of the Ambassador Team gives you a Welcome Pack, tells you about the programme, and gives you a tour of the college. Your room is available from 14:00 and refreshments are provided in the café or dining room. Don’t forget, there is a welcome event for you in the evening so join in the activities on site! When do I start my course? Teaching programmes start at 09:00 on Mondays in the Hall. The Course Director welcomes you and you are divided into random groups for the placement test. You return to the Hall for a briefing about life at College and life in Oxford, and there is another group activity to help assess your English Language level before lunch. Formal classes begin on Tuesday mornings. When does my course finish? Classes finish on the last Friday of each course with the formal presentation of reports and certificates in the Hall. When do I leave at the end of my course? Departures take place on Saturdays and we ask you to vacate your room by 10:00 in the morning. Is insurance covered in the course fees? Yes. The course fees include travel insurance cover with an independent insurance company organised by St Clare’s brokers. For full details please download: Travel Insurance Policy. If you need to make any claims on the policy you must contact the insurance company directly. Some parents choose to buy additional insurance for personal possessions like phones, laptops, and cameras. Are the airport transfers included in the course fees? No. St Clare’s arranges transfers between the airport and Oxford at the request of the parent. If you would like a transfer, it must be booked at least three weeks before your course starts. Are there any course rules? Yes. At St Clare’s we expect every teenager to behave in a way that shows respect and consideration for their fellow students and the college community as a whole. In brief, students must be polite, observe the curfew in the evening and laws that apply to use of alcohol or drugs. Fuller details are available: ‘Expectations of teenagers on summer courses’. Please note: We reserve the right to expel any student whose behaviour we find unacceptable. In this unlikely event the student/parent will bear any additional costs. We recommend £70 per week for personal expenses. NB The House Warden requires a damage deposit of £30 from the student on arrival. In most cases this is refundable on departure day. Who looks after me in my house/residence? Each house is supervised by a residential warden. Students and parents should read and agree to the Parent Agreement. Can I share a bedroom with my friend? It is part of St Clare’s mission to promote international understanding through education. Every effort is made to integrate students from different nationalities. You may, therefore, request the same house as a friend, but not the same room. Washing machines are available for use by students although a small charge is made for soap. If you are travelling together with friends on the same flight we can collect you together. It is essential that you provide the names of your friends at the time of booking the transfer. Airport transfers must be booked and paid for at least three weeks before arrival. Please do not book your flights until you have received confirmation of your child’s place on the course. If you reserve an Unaccompanied Minor (UM) service with the airline, you must also reserve the St Clare’s UM service. We charge an additional fee for this, which covers the additional costs for our staff to collect your child from the airline on arrival and check-in your child on departure. It is essential that you inform us of your child’s UM status when you send us flight details. If you have not reserved a UM service with the airline, you can still reserve the St Clare’s Assisted Check-in service for departure. We charge £30 for this service and this covers escorting your child into the terminal and helping them with check-in on departure. Please fill in this form to submit an enquiry on our teenager courses, or call us on +44 1865 517704.